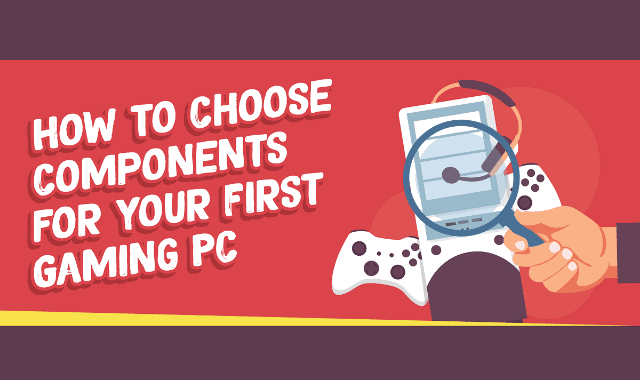 How To Choose Component For Your First Gaming PC #Infographic ~ Visualistan '+g+"
PC gaming is a great way to play – better graphics, superior accuracy, insane PC exclusives, and the flexibility PC gaming provides are just a few of the reasons why you should build your first PC. Although, building a PC can be pretty difficult, especially if it’s your first time. First and foremost, it’s important to know what you want out of your PC and how much you are willing to spend. Setting the appropriate budget is crucial. Otherwise, you’ll end up overspending on the wrong parts and losing money, or not saving enough and building an underpowered gaming computer – neither are good choices. Have a look for more information.